A 2 year old not talking would be considered a late talking toddler. 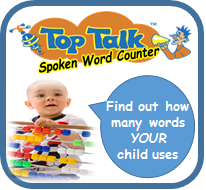 Late talkers are children 18 months to 3 years that are saying less words and sentences than children of the same age. ​A 2 year old may be not talking but is that a problem in early toddler development? A 2 year old not talking is a reason to seek advice from a speech pathologist or a health professional. There is a lot of variation and reason for delayed toddler talking, however, if they are saying NO words at 2, it is a definite red flag for them being at risk of development and learning delays. Research suggest seek early intervention rather than taking the “wait and see” approach. By 24 months a child would have typically gone through a huge boost in the number of words they are saying (vocabulary burst). Is their eye sight OK? Can the toddler find named toys when there are 3 or 4 to choose from? Can they point to named pictures in books? Will they follow instructions if you DON’T use your hands and make it obvious for them (e.g., ask “give it to me” without putting your hand out to take the object). They might follow the instruction “put the drink in the bag” when it is obvious it is time to go out but can they follow something unusual like “put the drink on my knee”? Is the toddler turning when their name is called and do they seem to “listen to you”? If imitation is not developing speech can be delayed. 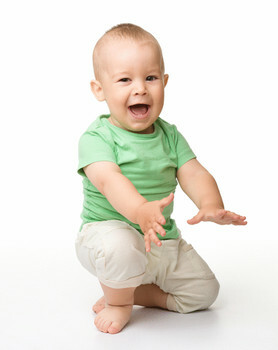 Early Baby talk will involve copying raspberry sounds and exclamation tones e.g. OH NO! generally before they say their first real words. If you set up a game of you imitating their every funny babble or sound do they realise you are imitating them? IS the toddler SOCIALLY WANTING TO INTERACT? 2 year olds not talking may not be socially engaging with others. 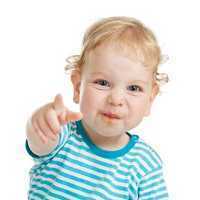 Does the toddler make eye contact with you, do the bring a toy to you or point to something they see or hear. Toddler talking is about learning to use words to interact with otherS. If children are not interested in interacting then delayed toddler talking may follow. Many children with early sign of autism show this lack of interaction alongside their limited or no use of spoken words. If you have any concerns talk to your health professional. You can always send us an email info@speechnet.com.au and an early intervention Speech Pathologist will respond to you! ​Early intervention is better than treating a learning disability later on! If you are concerned it is always advisable to see a child speech therapist or a health professional. There are a number of things to consider if a child is a late talker. ​Assessment of the areas know to delay or boost early toddler talking skills such as attention and listening skills, imitation skills can be screened for young children. Your parenting or carer speech style needs to be considered as well to ensure a child meets their full potential and to help them to start talking. ​It can be hard to know if all of these skills are on track for a child without a proper assessment by a speech pathologist. However affordable ONLINE PARENT TRAINING Courses can be great first steps to ensure you are doing all you can do during your play and interactions to provide an ideal toddler talking environment for your child. ​For example the FOCUS ON TODDLER TALK eLearning training course is action packed with how to check the levels and boost the skills known to be important to develop speech and language through play and everyday interactions. The course has 4 in-built assessments you can use to monitor your toddler’s development. Courses like this can be great for parents and busy professionals (teachers, child care workers, Nannies) as you can download it right now and begin boosting your skills immediately – continue to access the easy to listen to video information session and videos of Dr McMahon actually interacting and playing with children to demonstrate the play ideas. ideas for children AT RISK of becoming Late Talkers. Why is my 2 year old not talking yet in sentences? Take a look at our amazing new eProgram! Toddler Talk has over 70 VIDEOS - Videos include: Video tutorials with personal voice over, video examples & explanations from Dr Sandra McMahon PhD, Video demonstrations of games and activities taken from actual speech therapy sessions. Video explanations of goals of each activity and explanations at three different ability levels. Toddler Talk is Available for you to start right NOW! : Delivered to you through the SpeechNet Portal. This educational Online eProgram is available to you right NOW 24/7! Work through the program when it suits you no appointments needed. You will have full 24/7 access to the eProgram for 12 months from the date of purchase. Let's get started TODAY! 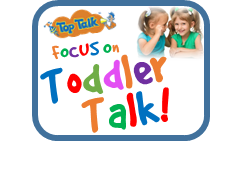 SEE HOW FOCUS ON TODDLER TALK CAN HELP YOUR CHILD TODAY!